Felona Mabel is a successful news reporter who is engaged to me married. She believes everything is going well until she has to return to her hometown of Nathaniel. Felona’s mother is dying and she must return to handle her mother’s affairs. At this point of the story, Felona’s spirit changes as she tends to her mother’s wishes. 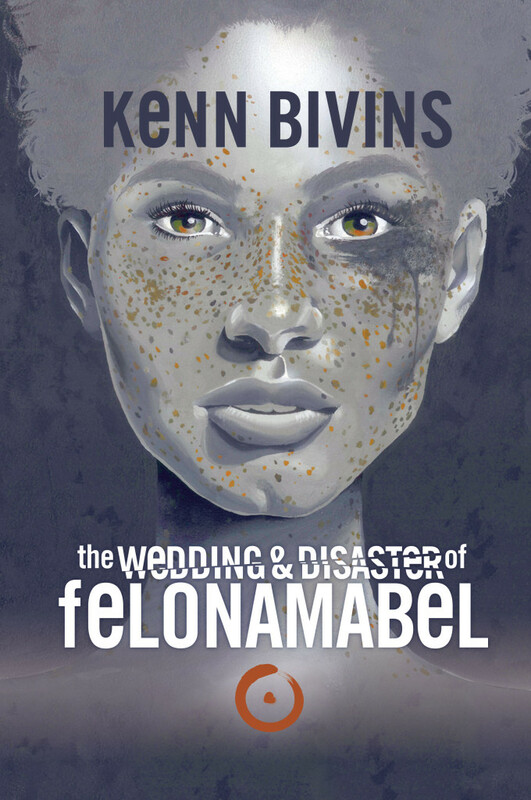 The Wedding and Disaster of Felona Mabel was a compelling story of a mother and daughter relationship and how it affected the daughter’s life. I am drawn to main characters dealing with family dynamics because it makes for an interesting read. I almost always pick a side while anticipating the outcome, which keeps me glued to the pages. Bivins’ writing style does not disappoint making sure readers fully invest in his characters. The cover is a beautiful depiction of the Felona, which alone makes you want to read this book. I will definitely pick up another book by this author who writes with depth and meaning. Teresa Beasley is a freelance writer, book reviewer, book publicist and lover of all things books. After a trip to her local library at the age of ten, Teresa’s love for books grew and now she can’t leave home without one. She is the founder of Authors & Readers Book Corner and Got’cha Covered PR and currently working on her debut novel. She resides in Indianapolis, In with her husband. Margot Sanchez is a typical teenager all about self. She is definitely about herself when she takes her father’s credit card on a shopping spree. Margot does not think about consequences until her father makes her work off the debt in the family store. It is not enough that Margot has to deal with an over bearer brother and Moises her irritating neighbor, but having to work in the store and give up summer will push her over the edge. 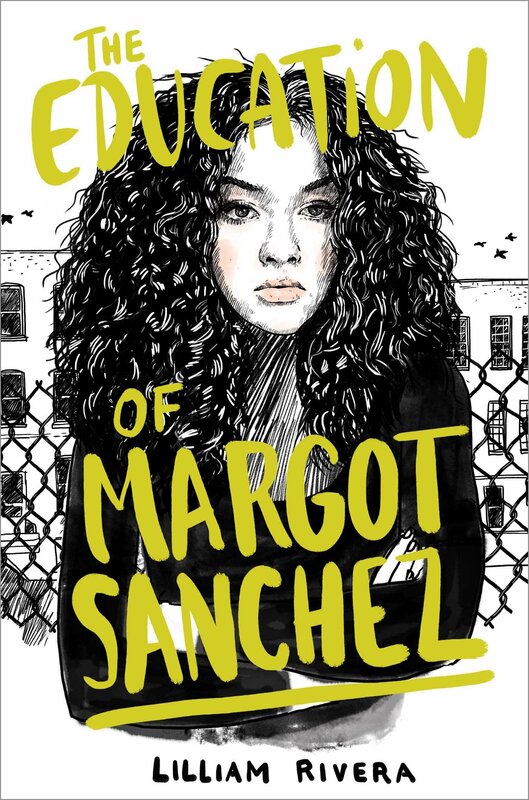 The Education of Margot Sanchez was a true account of a teenager’s life. It deals with family dynamics and relationships along with some other twists and turns. The author does a wonderful job allowing readers into the lives of a Latina family. The different interactions Margot encounters throughout the story kept me turning the pages. I was able to learn more about the Latina culture through Margot and her parents. The characters were well developed making it easier to relate to them. I love books that leave readers with a message or lesson to learn especially if it can be used in everyday life. This book had different issues within it but the main character had to learn responsibility, to think of others and understand why there are consequences to each action you take. I recommend this book to others and believe it would be a wonderful addition to high school libraries. What would you do for family? Shanequa Leonard answers the question in Loyal to Her Badge by Portuguese Hodges. After learning Busta Freemont, a drug Lieutenant was the cause of her grandmother’s death, Shanequa decides to take matters into her own hands. It is true women can be stubborn at times especially when it comes to getting what they want and the main character is this book is no exception. Shanequa goes against her captain by going undercover as a stripper to get close to Busta to take his whole operation down. As time goes by the plan, falters because Shanequa starts to fall in love with him instead of continuing the hate she was supposed to have for him. She then finds herself in the middle of Busta’s foolishness and the bad side of his world, which has her running for her life. On the other hand, when you have a drug king after you it makes you look a life a little different. 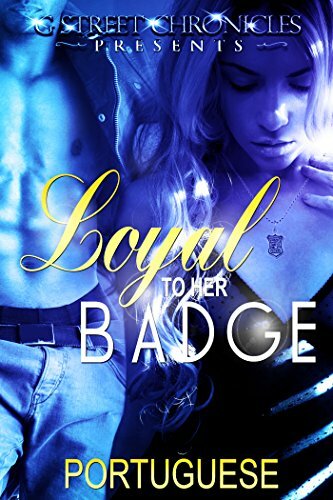 In Loyal to Her Badge, readers find a determine agent trying to get justice for her family and friends. As the story progresses readers find a woman trying to survive a dangerous situation after realizing she is in over her head. I enjoyed the journey Shanequa took me on while reading this book. It was entertaining, suspenseful and the twists and turns were worth it. I rooted for her throughout the book and could relate to her not listening to authority (her captain) because she had to do this for herself. This book shows the making of a powerful woman who was not afraid to fight for what she believed in and sticking through it when everything went wrong. I recommend this book to others and look forward to reading more by this author. Teresa Beasley is a freelance writer, book reviewer, book publicist, and lover of all things books. After a trip to her local library at the age of ten, Teresa’s love for books grew and now she can’t leave home without one. She is the founder of Authors & Readers Book Corner and Got’cha Covered PR and currently working on her debut novel. She resides in Indianapolis, In with her husband. DMP is offering a $.99 book sale from Dec 23-Dec 27th. Check out the books below and download! Happy Holidays!!! 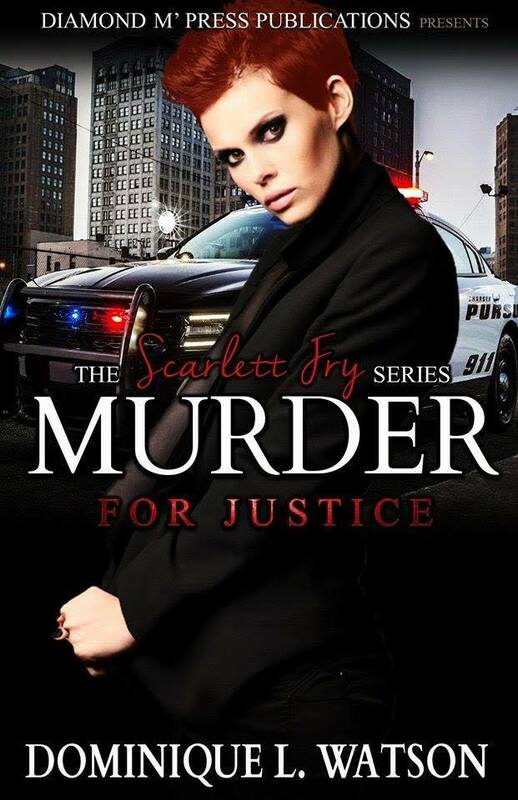 Detective Scarlett Fry is back in the highly anticipated follow up to Murder for Justice. Scarlett Fry has finally taken a vacation with her husband but somehow murder seems to follow her. Away in southern Spain at the Cabana Resort, a couple is found dead. The locals can’t seem to figure out what has happened but it definitely looks like foul play. With no jurisdiction, Scarlett quickly gets back to her reason for the trip and forgets about the case…so she thinks. Back in San Diego, Fry and Carr are handed a case. A missing person? A father is found dead in his car. His wife and son are missing. There’s no foul play but something just doesn’t seem right. Eventually Scarlett’s time in Spain catches back up with her and she quickly learns that she’s hunting a man out for blood. When revenge is best served cold, Scarlett and her team will do anything to bring this mother and son home safely. Follow Detective Scarlett Fry in ‘Hunted’ as she travels across statelines to catch a heartless killer. A story with twists and turns you never saw coming. Calvin and Tina Mitchell are the typical African American family. Married young with several children. Tina a stay at home mom and Calvin a hard working business man. Life is perfect, until Calvin’s mother dies and he doesn’t know how to cope and his wife doesn’t know how to support him. Calvin spends his days in a deep state of depression leaving Tina to take care of their children alone. She’s no longer getting the love, affection and support she needed and turns her back on her husband and his needs. With the loss of Calvin’s mother cutting him so deep, the devil has found his entrance and sets in motion….betrayal. Tina finds herself getting all of what she’s been missing from a dangerous source. Her mother can’t seem to get through to her and the aching pain she has in her heart from her marriage causes her to make the wrong decisions. Calvin and Tina’s marriage and family is turning upside down right before their eyes. Can they turn on the love that once was or will explosives set before them destroy their happy home. Meet Monica also known as Mo’, raised by her older sister, Angie…abandoned by her mother. At an early age she meets and moves in with her boyfriend Derrick. Not knowing the true meaning of love she falls victim to his conniving and abusive ways allowing him to make most of the decisions in her life. Derrick makes one horrible mistake that lands him in jail for five years and frees Mo’ of her obligations to Derrick. Five years later, Derrick resurfaces. Mo’ is now a well established business woman who’s no longer interested in the life she used to live. With Derrick back he uses Mo’s weakness to get what he wants forcing her into a corner she’s not strong enough to pull herself out of. Her love for Derrick allows him to move back into her life and her heart. Mo’s mother now clean and sober has a new found claim on life but Mo’ can’t find it in her heart to forgive her mother for the abandonment years ago and reminds her of it every chance she gets. Meanwhile, Mo’s best friend Abee has recently suffered a great loss in her family. The investigation unravels right before Mo’s eyes. She soon realizes that she knows more about this tragedy than she thought. Blinded by love Mo’ never sees the betrayal going on right under her nose from those she thinks loves her the most. Love’s deception introduces readers to a young woman guilty of one thing, loving the wrong person. Before Monica knows it, a past she thought she left behind years ago is running right along with her, headed straight to destruction and taking Monica with it. Love’s deception is a story about the true meaning of love, friendship and family. How our actions today, can determine our tomorrow. In the final installment in the Secrets and Deception series, Keri, Demetrius, Monae and Jackson return. Answering many questions from The Ultimate Art of Deception, Keri and Demetrius distribute the ultimate payback to all those who destroyed their happy home. Join the characters as they go for one last ride in this page turning series. DMP Presents…Hunted on Blog Tour! 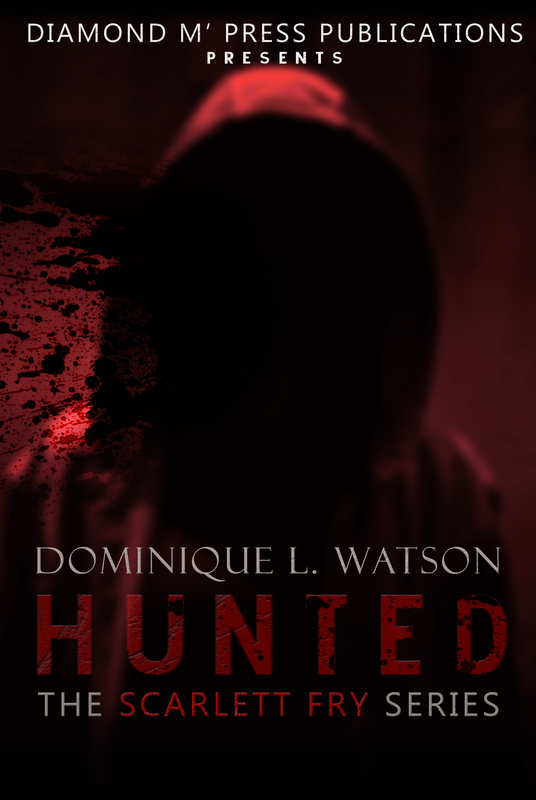 Author Dominique L. Watson is taking Hunted on a Blog Tour. It’s a ten day tour filled with information and giveaways. Dominique will be giving away one free copy of Murder for Justice to one random person who follows the rules below. Check out how you can win! Be sure to visit all stops and comment on EACH blog stop! I will be there! Using Hashtag #HUNTEDScarlettFry post anywhere on Facebook, Twitter or Instagram for a chance to win a free signed copy of Murder for Justice, the first novel in the Scarlett Fry Series. Tag Dominique in any posts. Author Dominique L. Watson has released her 18th book, Hunted. The second book in the Scarlett Fry Series. Read about the book below and purchase your copy! Follow Detective Scarlett Fry in ‘Hunted’ as she travels across state lines to catch a heartless killer. A story with twists and turns you never saw coming. Purchase your copy of Hunted today!